Deutsche Bahn (DB) is to work with Siemens to automate one of Hamburg’s S-Bahn lines as part of a wider programme of digitisation across the German rail network. A 23 km section of Line 21 between Berliner Tor and Aumühle stations will be used to trial an automated service on the S-Bahn in 2021, when Hamburg will host the World Congress for Intelligent Transport Systems (ITS). Four trains will be equipped for automatic train operation (ATO) overlaid on ETCS Level 2. A driver will remain on board during the trial and will intervene if required. The long-term goal is to automate the entire Hamburg S-Bahn. 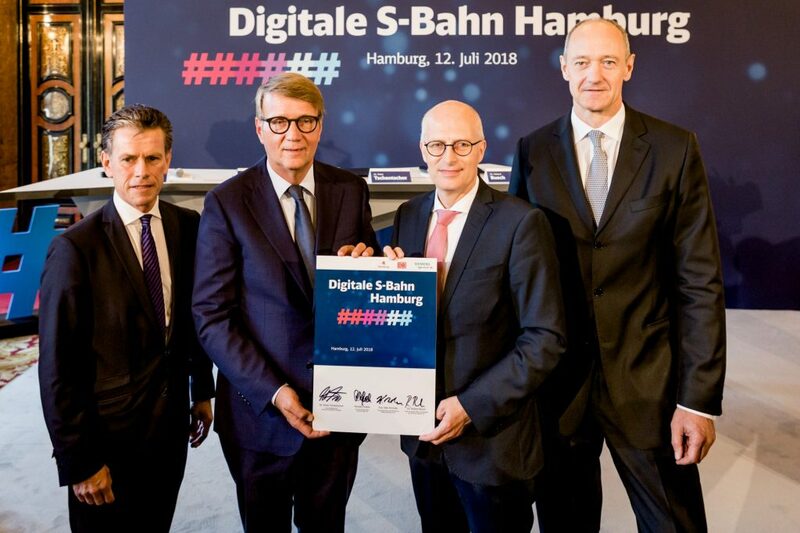 A cooperation agreement committing to the “Digital S‐ Bahn Hamburg“ was signed on July 12 by Dr Peter Tschentscher, Mayor of the Free and Hanseatic City of Hamburg, Dr Roland Busch, chief technology officer and member of the managing board of Siemens AG, and Ronald Pofalla, member of the DB management board for infrastructure. 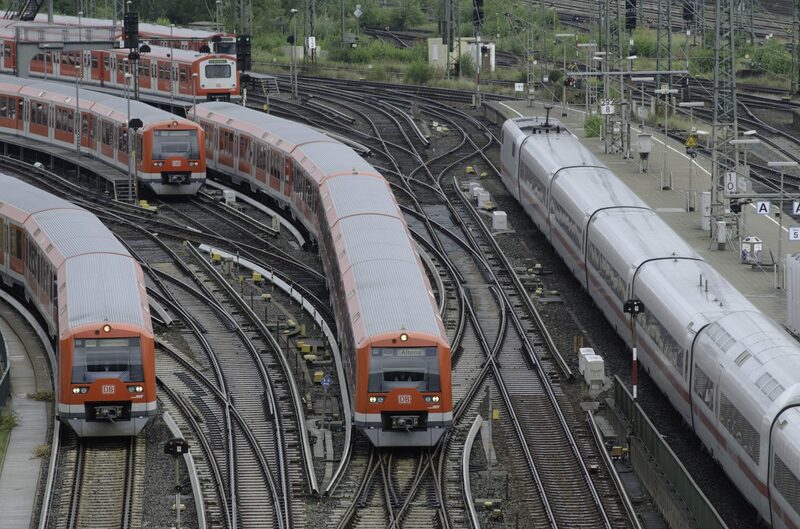 Photo: Deutsche Bahn/AG Christian Lindenau. DB, Siemens and the city of Hamburg will share the estimated €60 million cost of the project. Ronald Pofalla said: “In Hamburg, we are starting to digitalise operations in one of our most important S-Bahn networks in Germany. This is a milestone in our future-orientated “Digital Tracks for Germany” programme, for it marks the launch of the biggest technological change in years.